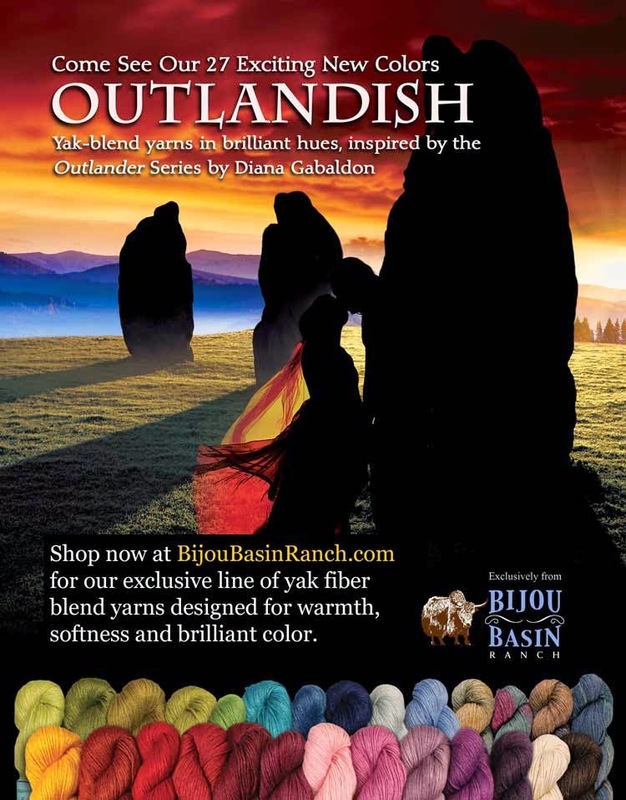 Bijou Basin Ranch: #CountdownToOutlander, Knitsy, & our New + Improved App! #CountdownToOutlander, Knitsy, & our New + Improved App! We've just returned from the Black Sheep Gathering in Eugene, OR, where we had a fantastic time as first-time vendors! Our next event isn't til Stitches Midwest in August, but we have a lot of exciting things planned for our online store and social media channels for next month...hint, hint! You'll definitely want to sign up for our newsletter or follow us on your preferred social media channel (linked at right) to stay updated on our #CountdownToOutlander promotions which will start July 6! 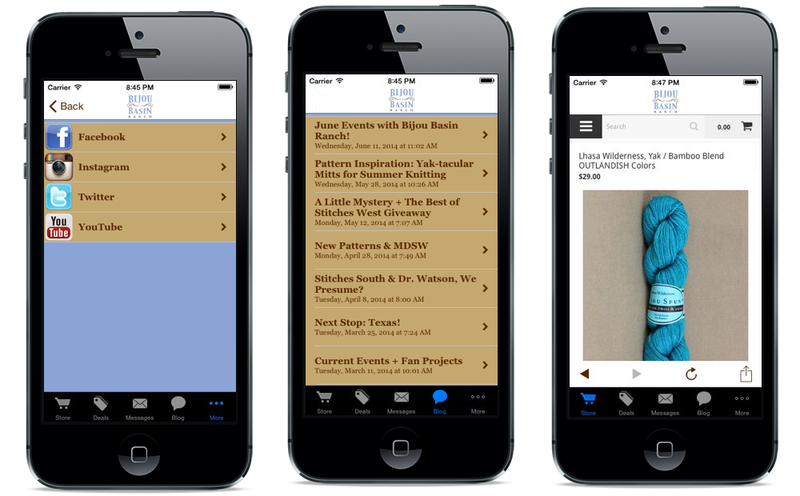 Recently, we were featured in issue 10 of Knitsy, a digital knitting magazine you can download on your mobile device. 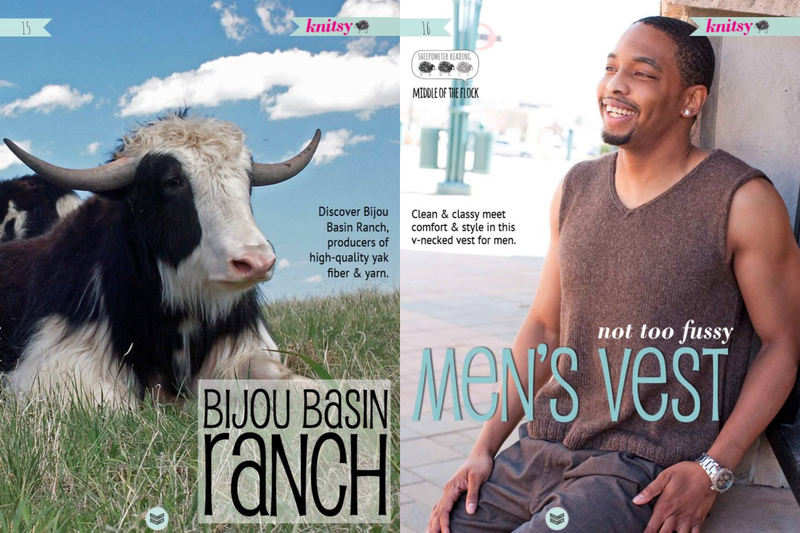 In this jam-packed issue, you'll learn more about the yaks at Bijou Basin Ranch in their in-depth feature. 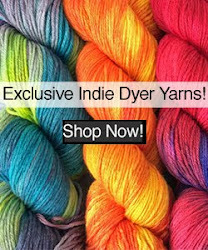 Plus, you'll also get a great pattern featuring our yarn in addition to many more project ideas and tutorials. 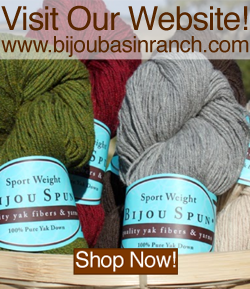 Finally, we're pleased to announce that the free Bijou Basin Ranch app is getting a makeover. It will be faster, more streamlined and easier to navigate! We are putting the finishing touches on the app, but it should be available in the very near future. Sneak peek of our new & improved free app! IOS users will see the old app active for a while but Android users will need to download the new app ASAP to keep it working. Don't worry, we'll be sure to let you know when the change happens by making an official announcement on our social media channels, and at some point, the existing app will simply stop working on your device and you will be notified that it is no longer available. You'll just need to delete the old app, then download the new version from Google Play or iTunes; the name and logo will be the same as before, so it should be easy for you to find!